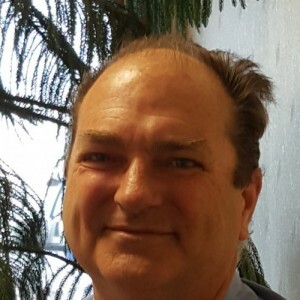 Mark E has a 5-Star rating and leads the company in total reviews, making this pro a ReviewBuzz Rockstar! I really like Gayle and Mark. 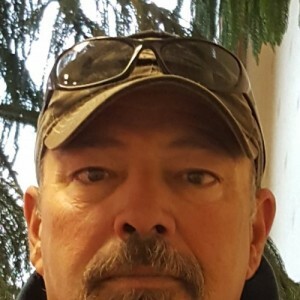 Mark has always conducted himself in a professional manner and he does a great job when he services my Furnace/AC. When I call Crystal Htg & Clg Gayle is always willing to help in any way she can. Good job as always. Efficient and prompt. Excellent friendly, knowledgeable service personnel. My service was timely, efficient, and informative. Thanks! We find Crystal Heating and Cooling to be excellent. Haven't had any issues since this is a new home but we decided to join their maintenance program. We feel sure that if any problems arise Crystal Air and Mark will be here to deliver excellent and dependable service. Thanks !! Mark serviced my air conditioner and was very friendly and professional. 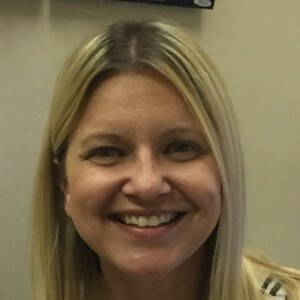 I have been a customer for several years and I am always very happy with their service. 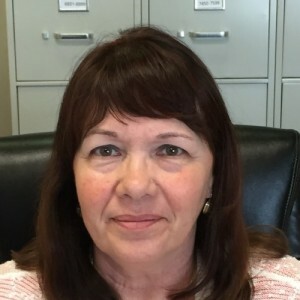 I have used Crystal Heating for over 35 years because they are dependable, courteous, professional, on time, and competitive pricing of products and service. They have professionally installed three heat pump/ cooling systems and I have been pleased with the cost of operating heat pump systems. The office staff is always courteous and helpful. Most recently Mark completed my spring checkup and did a great job! I have also had excellent service from Darren. 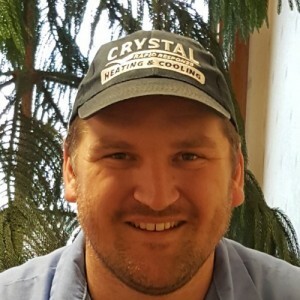 I would recommend Crystal for all your heating and cooling needs! We had our semi-annual tune up for our heating and AC Systems yesterday. **** the Tech was on time as scheduled and did a very through inspection and cleaning of both inside and outside units. He took the time to explain what he was doing and made sure I understood why the action was necessary. Excellent work! Mark always does a great job in servicing my furnaces and a/c equipment. I always know that my equipment is in good repair. Crystal Heating & Cooling is a quality provider of services. The tech, Mark E., was friendly and performed the clean and check in efficient and professional manner. We appreciate the availability and quality service! Mark has been to my house twice a year many times. 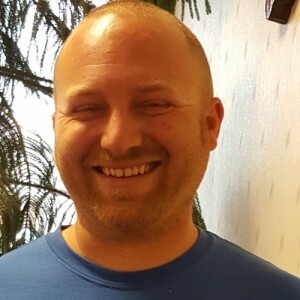 He is always courteous, very knowledgeable and always is professional and my dog loves him! 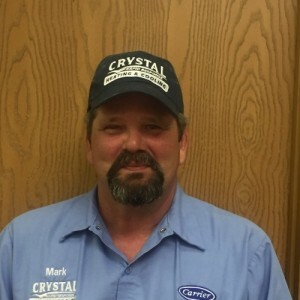 I have been with Crystal for a couple of years now and most of the time I had Mark E. as the man that handle the heating and cooling. I recommend him and his company he works for. Both outstanding people to work with. I see no reason to change. Give them a try, you won't be disappointed. Mark was friendly, very capable, and went right to work when he came to check our furnace. It was only a short time before we were nice and warm and very happy. WAY TO GO FOR MARK AND CRYSTAL HEATING/COOLING. Mark did an outstanding job for us. Also, he was dispatched promptly and provided two old people with relief on a very cold day. Mark is knowledgeable and efficient, he solved the problem very professionally and was, at the same time, a cheerful and upbeat personality. We appreciate his work very much. We also appreciate the timely reaction to our call for help. I am serviced regularly by 2 of the field reps. They always show respect and courtesy to me and take care of the work in an efficient manner. Have never had an issue with Crystal Heating as a company. The office support staff is very good at keeping communication open on service time and working in appointments to meet my needs. Great Company!